Scott Martin is running for State Senate. The Lancaster County Commissioner was originally considered a candidate for the open congressional seat in PA-16 after Rep. Pitts announced his retirement. 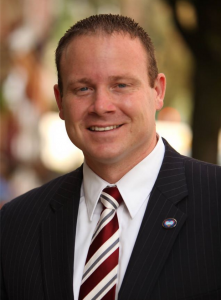 Instead, State Sen. Lloyd Smucker declared that he would be running for Congress and Martin will be running to replace Smucker in Harrisburg. Martin has been Commissioner of Lancaster County since 2008. He is also the Chairman of the Pennsylvania Republican County Commissioners Caucus. Pennsylvania’s 13th Senate district consists of parts of Lancaster County. A great way for Scott to save face. Whatever! Is this Scott Wagner’s hand picked candidate? Scott Martin will/would crush Ethan Demme. Ethan Demme, former lancaster gop chair and business owner, will probably give Scott some competition.